A beginning grammar workbook for students learning the 8 parts of speech and the fundamentals of sentence and paragraph writing. This version of Sheldon’s Primary Language Lessons has been updated to allow children to write in the text. Also various outdated grammatical concepts such as placing the title of a book in quotes has been updated to follow the modern rules of grammar. THIS book presents a series of elementary inductive lessons designed to secure facility in oral and written speech, and arranged to lead naturally to the study of grammatical relations. To assist pupils in overcoming mechanical difficulties, a few memory lessons are introduced. By copying, and by writing from dictation, passages in prose and verse, children soon learn to indicate the larger divisions of thought by paragraphs, and to apply the simpler rules for punctuation and the use of capitals. The selections offered for study are designed to encourage a taste for good literature and to awaken an interest in nature. Easy lessons in the forms of letter writing are provided, and a few assignments are added to stimulate original work. The composition lessons are based on the principle that children learn to think, and to express their thoughts, by observation and imitation. The value of a book of this kind is the measure of its power to train children in fluency of expression. These lessons in English have been tested many times, and have always proved simple and practical. 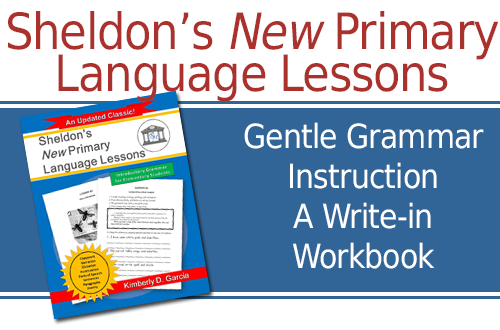 View Sheldon's New Primary Language Lessons Now!